Download and try our Apple Software Development templates. Many of templates include additional free spreadsheets, forms, logs, and tutorials. Please click on the links to learn more about the templates. The Software Development Template Pack includes 124 templates to assist business analysts, software developers, test team and technical writers during the software development lifecycle. Over 575 pages of iWork Pages/Numbers templates, forms, and checklist. Instant Download. The Software Development templates include the following documents. Note that many of these templates include additional spreadsheets, forms, logs, and tutorials. Please click on the links to learn more about the templates. This screenshot shows the files in the Project Plan template pack. The following templates are included in the software development template pack. Acceptance Test Plan Use this Acceptance Test Plan (Apple iWork Pages 25 pgs) to describe the acceptance testing process, such as the features to be tested, pass/fail criteria, approach to testing, roles and responsibilities, resource requirements and schedules. Acquisition Plan You can use this Acquisition Plan template (iWork Pages + 3 Numbers spreadsheets) when managing software projects that involve acquiring software and bringing products and services in-house. Business Process Design Download these Business Process Design templates (Pages and Numbers spreadsheets) to capture the procedures that govern how your business works from technical and operational levels. Business Requirements Use this Business Requirements Specification template (iWork Pages/Numbers) to capture the current and future needs of your business. Also includes a 24-page Business Requirements Specification, Use Case, Requirements Traceability Matrix and Data Model templates. Business Rules Use this Business Rule template (iWork Pages 15 pages) to document how policies apply to a specific business activities. Communication Plan Use this Communication Plan template (iWork Pages 30 pages + 6 spreadsheets) to plan, schedule and assign responsibilities, writers, audience, topics, delivery dates, delivery mechanism, sensitive issues, resources and expected results. Configuration Management Plan Use this Configuration Management Plan (iWork Pages 24 pages) template, which can be easily modified for your next project. Concept Proposal The Concept Proposal (iWork Pages 12 pages) is the first document to be created in the Software Development Life Cycle. Use this template to identify the need or opportunity to improve a business function by highlighting where strategic goals are not being met or performance can be improved. This template is designed and formatted for iWork Pages. Conversion Plan Use this Conversion Plan template (19 pages iWork Pages) to describe the conversion types, security , strategy, data conversion , tasks, planning, and conversion requirements. Cost Benefit Analysis Use these Apple iWork Number/Pages templates to analyze, evaluate, and cost potential solutions to meet your organization’s needs. Identify the design costs, development, installation, operation, maintenance, and disposal of the proposed system the development approach documented in the Feasibility Study. Database Design Use this Database Design Document template (iWork Pages 26 pgs) to map the logical data model to the target database system with consideration to performance requirements. Includes Data Model spreadsheet. Deployment Plan Use this Deployment Plan templates – iWork Pages 28 pages – to document how you plan to to implement a solution into a live production environment. Documentation Plan Use this Documentation Plan (iWork Pages 17 pgs) to describe how your technical documents will be prepared, delivered and distributed. Also known as an Information Development (ID) Plan, it serves as a project plan for the documentation requirements on a software project. Employee Handbook This Employee Handbook template includes 140 topics which can be easily modified to meet your organization’s needs. The main template includes 100 pages of sample material, including sections on Employment Status and Records, Employee Benefit Programs, Timekeeping, Payroll, Anti Discrimination, Harassment, Work Conditions, Leave of Absence, Employee Conduct, Disciplinary Actions, IT Policies, and Health and Safety. Feasibility Plan Use this Feasibility Study template (iWork Pages 28 pgs) to perform a preliminary study to determine a project’s viability, analyze the problem and then determine if it can be solved effectively. Functional Requirements Use this Functional Requirement template – iWork Pages 27 pgs – to define a function of a software system and how the system must behave when presented with specific inputs or conditions. These may include calculations, data manipulation and processing and other specific functionality. Installation Plan You can use this Installation Guide template – iWork Pages 21 pgs – when installing software and for the preparation, training, and conversion from existing systems. Interface Control Document Use this Interface Control Document template (iWork Pages 17 pgs) to describe the relationship between system components in terms of data items and messages passed, protocols observed and timing and sequencing of events. Operations Guide Use these Operations Guide templates (iWork Pages/Numbers) to document procedures for your IT environment. This template pack provides tables, charts, and matrices for server monitoring, backups, scheduling tasks, monitoring systems, managing inventory, and performing follow-up reports on outstanding issues. 21-page template and 8 spreadsheets. Proposal Template Use this 27-page Proposal Template to write concise, effective, and persuasive business proposals. This proposal template was designed with these requirements in mind. It contains the basic components of a business proposal: start (the Executive Summary), middle (the Body of material to be presented) and an end (the Conclusion). Release Notes Use this Release Notes template (iWork Pages) package with 2 pre-formatted templates in iWork Pages format, which can be easily modified for your next release. Each template includes 17 pages of material including sections on Changes to release notes, Scope, System Requirements, New Features, Fixed Issues, Hotfixes, Known Issues, Limitations & Restrictions, Caveats, and Deployment Instructions. Request For Proposal (RFP) Use these Request For Proposal templates (iWork Pages 37 pages + 4 spreadsheets) to send invitations to suppliers to submit business proposal for specific products or services. Risk Management Plan Use this Risk Management Plan template (iWork Pages 24 pgs + 5 spreadsheets) to identify, evaluate and prioritize risks during the software development lifecycle. Scope of Work Use this Scope of Work template (iWork Pages 20 pgs and 2 Numbers templates) including a Work Breakdown Structure and Risk Log to ensure effective scope management throughout the life of your project. Security Plan Use this Security Plan template to describe the system’s security requirements, controls, and roles / responsibilities of authorized individuals. Includes 25-page iWork Pages template + 7 Numbers spreadsheets. Service Level Agreement (SLA) Use this SLA template (iWork Pages 26 pgs) with sections on Scope, Financials, Reporting, Terms and Conditions, Service Level Agreement, Expected Growth and Change, and Costs. Includes 3 Numbers spreadsheets for managing the List of Items covered in the SLA, Budget, and a Contract Directory for keeping track of your Service Providers. Setup Guide Use this Setup Guide template (iWork Pages 29 pgs) to ensure your customers can install your products successfully and reduce the workload on your Technical Support Dept. Software Development (SDLC) The Software Development Template Pack includes 124 templates to assist your software developers, test team and technical writers during the software development lifecycle. Over 575 pages of iWork Pages/Numbers templates, forms, and checklist. Software Requirements Specification Use this Software Requirements Specification template (iWork Pages 29 pages) to describe the behavior of the software to be developed. Also includes Requirements Traceability Matrix, Use Case, Data Dictionary templates, and Requirements spreadsheets. Software QA Testing Templates This Software Testing Template pack includes 50 forms, checklists, and documents (iWork Pages) and 27 spreadsheets (iWork Numbers). You can use these templates to save time when creating test forms, logs and checklists so your Test Department has a standardized approach to testing. Standard Operating Procedures Standard Operating Procedures (SOPs) templates help government organizations, emergency response operation, and clinical research organization achieve maximum safety and operational efficiency. 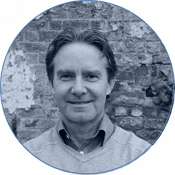 A well-written SOP can be used to satisfy compliance requirements. SOPs are recommended for all procedures that pose a potential risk to the health and safety of personnel. Statement of Work Use this Statement of Work template (iWork Pages 17 pages) to describe the deliverables or services required to fulfill a contract. System Administrator Guide Use this System Administrator Guide template (iWork Pages 22 pgs) to deploy, support, and maintain applications in your organization. Also includes 9 spreadsheets. System Boundary Document Use this System Boundary Document template (iWork Pages 30 pgs) to establish the boundaries of an information technology (IT) project. System Specifications This Subsystem Specification template includes a 18 page template in iWork Pages format, which can be easily modified for your next project. This template helps you capture the system’s Characteristics, Partitions and Functions, Environment, Diagnostics, Data and Reports, Security, Control Points, Vulnerabilities, and Safeguards. Also includes Requirements Traceability Matrix, Data Flow Tutorial. Test Plan Use this Test Plan template (29 pages iWork Pages) to document the strategy to verify that your software meets its design specifications and requirements. Includes Free Requirements Traceability Matrix, Roles and Responsibility and Project Costs templates. Technical Writing Templates 15 Technical Writing templates (233 pages iWork Pages/Numbers) to help you write technical documents faster, save time on formatting, provide a consistent standard across your publications, and ensure that your company delivers professionally looking documents to your customers. Training Plan Use these Training Plan templates (3 x iWork Pages + 14 forms/spreadsheets) to outline the steps required to design, develop and deliver a training program. The templates, checklists and forms will help you prepare the objectives, needs, strategy, and curriculum to be addressed when training users on a new or enhanced system. This Training Plan Template kit includes Work Pages template, 14 checklists, questionnaires, and spreadsheets to help you capture the scope, requirements, evaluation, delivery method, strategy, dependencies, constraints, limitations, schedule, resources, and training materials. Verification and Validation Plan Use this template to review, inspect, test, audit, and establish whether items, processes, services or documents conform to specified requirements. This template helps ensure that the software being developed satisfies all functional requirements and that each step in the process of building the software yields the correct products. User Guide Use these User Guide templates (iWork Pages) to create user guides, user manuals, getting started guides and other types of technical documents. 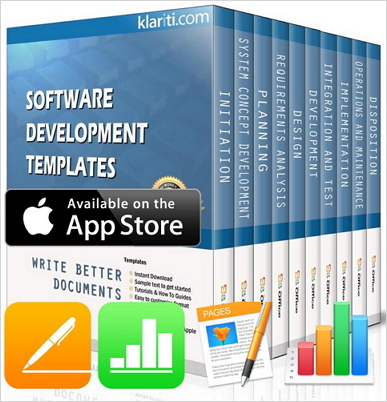 Klariti Ltd has created templates, forms, and documents for business, software development, and software testing since 1997. File Size: The Download file is 97 MBs.